New Year brings new styles and new collections to inspire us. January is a great time to start planning fresh looks and working out what to add to your wardrobe. For this time of year, it's always going to be cold so adding in winter warmers is of course key but I find January a great month to refresh my work wardrobe. Adding in items that will see me through the next couple of months and that I will be wearing with both boots and sandals with. For a new season, I find looking towards the designer market and researching what key items they are bringing out in their new pre-collections. It can be quite daunting where to start so the people at Farfetch have put together Capsule Wardrobe Generator where you can answer a few questions about your style and it generates some cool new ideas for your wardrobe. With a mixture of what the generator came up with and my work uniform in mind, I went on the hunt for some formal trousers and found this little number in the Zara sale. Now I decided this year I wanted to try out different styles that I would normally shy away from. With that, I picked up this pair of fluted trousers. 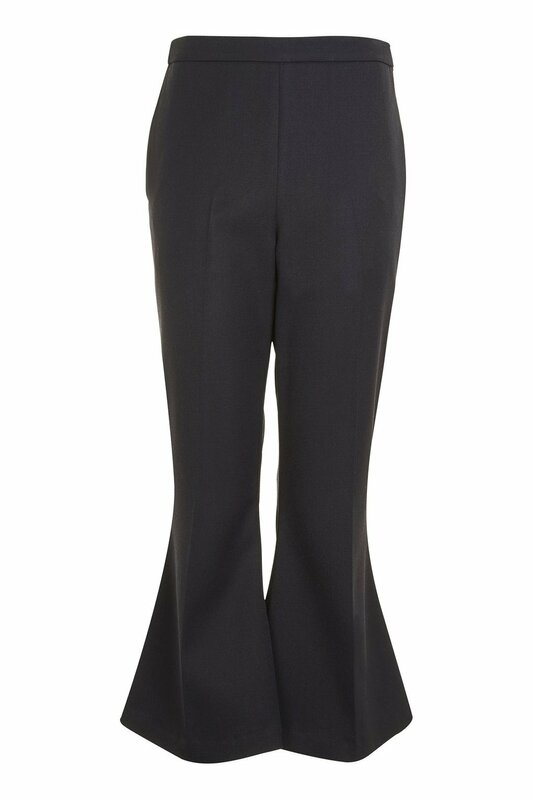 The flared look trousers have been a favourite of mine in the past when I fell in love with a pair of wide leg jeans from Miss Sixty. Believe me, they looked amazing at the time and I loved them to death but I honestly thought they were gone forever until Victoria Beckham & Gucci pulled them out of retirement for this season's new edge detail. Quite frankly I love the update, so much that I purchased this exaggerated flute sleeve shirt from ASOS to pair with these trousers. At first, I thought I had gone OTT with the look, but seeing how well a simple colour palette works together it makes the fluted details stand on their own and with just a splash of colour from the boots I feel like I have made a pretty good start to my new wardrobe. I would love to know your thoughts on this look and if you are stuck on what to buy this coming season check out the Generator widget and see what delights it throws up for you!